According to our passionate Azkal followers and researchers, there are about 33 identified half foreign bred Filipinos in the list of the Philippine Football Federation. Some of them are only in the minor league levels while others are blue-chip professionals. Since the time the Azkals rose to prominence, Fil-foreign footbal players started knocking on the doors of the PFF hoping to represent the Philippine colors in the international football field. As recent media releases showed, there are a few lucky Fil-foreigners who have been selected in the pool of players for the Azkals squad that will represent the Philippines in various international tournaments. Specifically consisting these new prospects are three Filipino-Danish footballers, three Filipino-Germans and one Filipino-Scottish. Let us look at the various backgrounds of each player. Dennis Cagara - is a 25-yr. old half-Filipino professional footballer from Denmark. Dennis is a 5-8 stag who played as a midfielder early in his career but has switched as a fullback as scouts saw his toughness on defense. In the year 2002 at the age of 17, Dennis entered the Danish Super League with Brondby IF making him the youngest soccer player who ever played in the prestigious Danish football league. Unlike most of the Azkals' Fil-foreigner prospects, Dennis has the distinction as the only half-Filipino prospect who ever played in the European elite Bondesliga of Germany for Hertha BSC. Bondesliga is regarded as one of the toughest professional football league in Europe along side England’s English Premier League and Spain’s La Liga. With Cagara’s soccer career that spans 10 years from the early 2000 being a prominent youth national team mainstay for Denmark up to the current mostly with the Danish Super Liga should make Cagara as one of the most seasoned prospect for the Philippine Azkals. Scouts described Dennis as an accomplished defender and is technically sound on the offensive set. 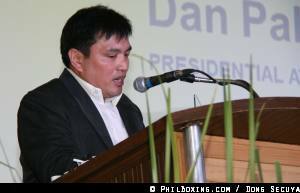 There is no doubt that Dennis Cagara can bring a lot of experience for the youthful Filipino Azkals. Jerry Lucena – is another Danish-Filipino that is being eyed to reinforce the Azkals. Lucena is a 5-10 midfielder for AGF Aarhus who unlike Dennis Cagara still has a live contract with the first division Danish Football team. Now at 30, Lucena has 11 years of competitive football experience way back from the early 2000 as a mainstay of the U21 Denmark national team. Lucena may have the most solid credentials among the Azkals' Fil-foreign prospects as he is the only one who was close to becoming an official senior national team member for his country in 2006. The Danish Football Association has a yearly program of selecting a pool of players in the beginning of the year which they call the Denmark League XI. These players are called up for their possible inclusion to the final line up of the national team. Lucena was part of the Danish national pool in 2006 but narrowly missed the cut for the final roster of the Danish national team in 2006. Scouts described Lucena as a player who has a good eye for the game and handles the ball pretty well. Reports from Denmark said that Lucena has confirmed his participation for the Azkals. Stephan Schrock – Obviously among the Filipino-German prospects in the Azkals squad, Stephan Schrock has the most impressive credentials. This 5-6 right back defender has 10 years of football experience tucked under his belt. Schrock’s resume includes his membership with the German Under-18, 19 and 20 youth squad who all qualified for the UEFA championship. His best performance in his youth national career was in the UEFA 2005 Under-19 event where he played 12 games and lead Germany to the semi-final stage of the event losing only to France (3-2) to miss the boat in the finals. Schrock who is now 24 and idolizes Filipino pug superstar Manny Pacquiao has remained loyal to his team Greuther Furth since he joined the team in 2001. He would have been in the Azkals squad last year but his papers were not able to be processed to the fullest. James Hall – is reported to be a 22-yr. old Filipino-Scottish footballer who enrolled and was part of the Everton Academy roster of players from 2007 to 2008. Contrary to reports, James Hall never made it to the official first team roster of FC Everton in the English Premier League but rather was released in 2008 from the Everton Academy together with 8 other players. However as a consolation, being a graduate of the Everton Academy is an assurance that James Hall gained solid football fundamentals. Current England’s rising superstar Wayne Rooney is a product of Everton Academy. Michael Falkesgaard - is another 20-year old professional footballer from Denmark. Michael is a 6-2 goal keeper for top Danish football professional team Brondby IF. Brondby IF is the second winningest football club in the history of the Danish Super League. Falkesgaard never became the starting goalie for the Danish youth national team but his consistent selection through the U18, U19 and U20 Danish national team speaks well of the promising talent of this young half Filipino which paved the way of his signing with top-notch Danish first division pro football team Brandby IF. Patrick Reichelt – is a 22 yr. old 5-foot-9 striker for the German club FC Energy Cottbus in the Bundesliga Division 2. Patrick is a half-Filipino half-German winger for the Under-23 roster of the squad. There is not much information about this prospect. Manuel Ott – is a 5-foot-7 18-yr. old Filipino-German midfielder who played for the Division 3 league of Germany’s Bondesliga for FC Ingolstadt 4 before joining the Philippine Azkals in the Asean Cup last year. Ott does not come with impressive credentials compared to his fellow Fil-foreign prospects but being a member of a German pro football team is enough for the Azkals to give him a try. Denmark and notably Germany both have rich winning traditions in international football. For both countries, football is their national sport and is being followed with passion. This fact should give us an assurance that these Fil-foreign prospects from these two countries can really uplift the quality of game of the Azkals. Imagining the future for the Azkals having Lucena, Cagara and Schrock play alongside the Younghusbands, Jason de Jong, Ian Araneta, Emilio Caligdong, Aly Borromeo, Anton Del Rosario, Ray Anthony Johnson, Simon Greatwich, Rob Gier and Neil Ethridge may make the Philippines as the biggest surprise in the current AFC Challenge Cup and may come out as formidable as Malaysia and Indonesia in the next version of the AFC Suzuki Cup. Philippines is slowly but surely moving towards respectability in Asian football. It may take more years to be at the level of Japan, South Korea and North Korea in Asia but as long as they keep on improving, sponsors would find it hard not to support the Azkals paving the way for further international exposure, a sound scouting program of Fil-foreign prospects and development of home grown talent. Top photo: Azkal's manager Dan Palami speaks after receiving the Sportwriters Association of Cebu Presidential Award Saturday afternoon at the Ayala Center Cebu. Photo by Dong Secuya.